I finally got my Papertrey order. It was delayed along the way (late train was the explanation) but now it's here and I'll be making cards using my new stuff this week. When I saw Circle Scribbles by Papertrey I knew it was a set that I had to have. 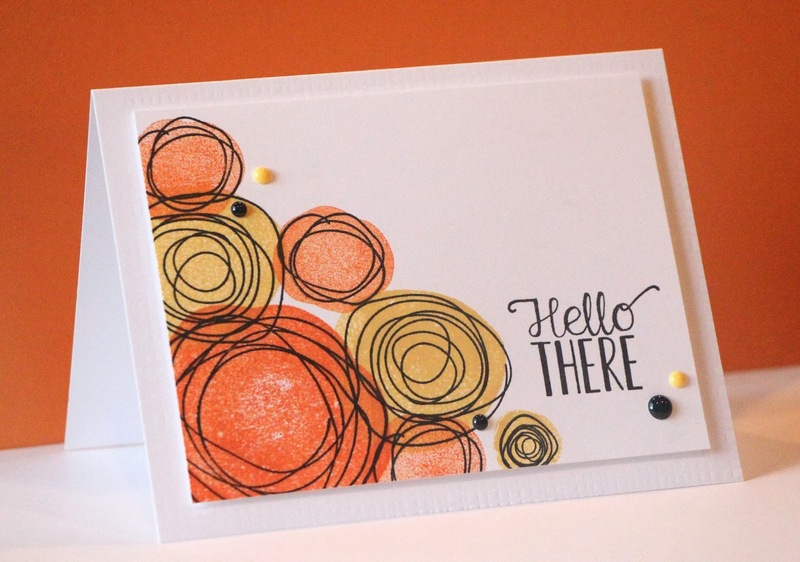 For this card I turned the circles into flowers. First I stamped the back of the stamp to create a background and then I stamped the scribbles. So much fun and so simple to create. You can't see it well but I ran the base layer of the card through my Big Shot with the Rustic Burlap impression plate. It is pretty subtle. This card is for 2 challenges this week. 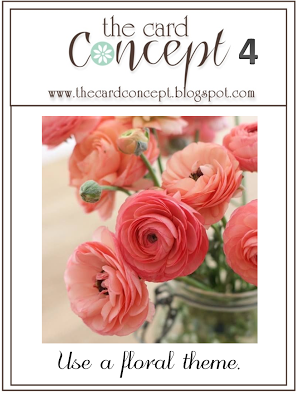 First is The Card Concept to use a floral theme. I'll call this the Clean & Simple style. 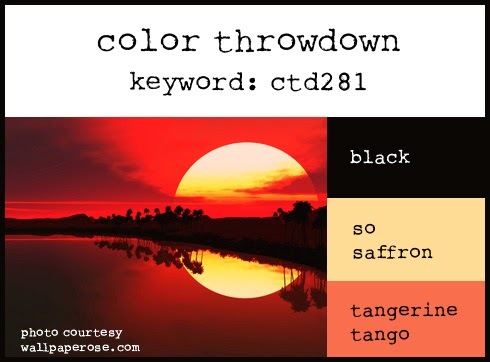 The second challenge is Color Throwdown 281. I'll have another scribbly card tomorrow. Thanks for stopping by! You have used the colors beautifully and I love your take on the inspiration photo....lovin the new PTI stamps, too!!!! Thanks for joining us for the Color Throwdown Challenge!!! \I love how versatile those scribbles are! They look great as flowers! Thanks for joining us at The Card Concept! The scribbly flowers are gorgeous, lovely colours. Beautiful work. 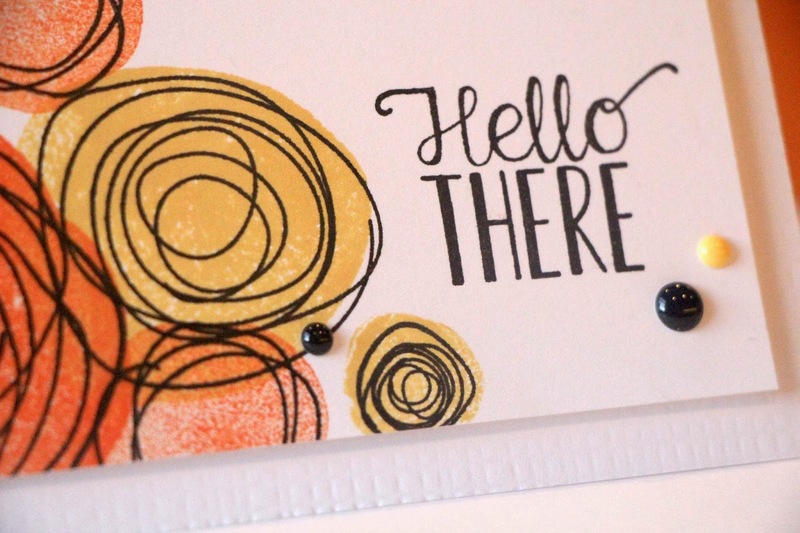 Thank you so much for joining us at The Card Concept! Wow! What a striking card! I love the colors and you placed each element just perfectly. Great design!